Why Warriors is looking for self-funded retired professionals with a passion to help the Yolŋu people of north-east Arnhem Land. Co-founder and author of Why Warriors Lie Down And Die Richard Trudgen has been working with Yolngu leaders in the region for over 35 years, looking for ways to empower the people. Over this time he has come up with a number of projects that when fully employed will give Yolŋu people a real chance for a better future. All these projects have been developed here, tested and ran when funding was available over a couple of decades. However, Richard is too busy writing and developing educational content to manage them anymore so he is looking for a manager for each project. We need a person or couple who are self-funded and will take on the responsible to promote and raise funding for each project. These project managers will work directly with Richard. The projects include “Getting Yolngu into Business”, “Yolngu Online School”, producing “Health Educational Resources”, “Germ Theory Roll Out”, “Cultural Competency Training” and producing educational programs for “Yolngu Radio”. Our very successful Hope for Health program is turning back chronic disease, a major game changer. 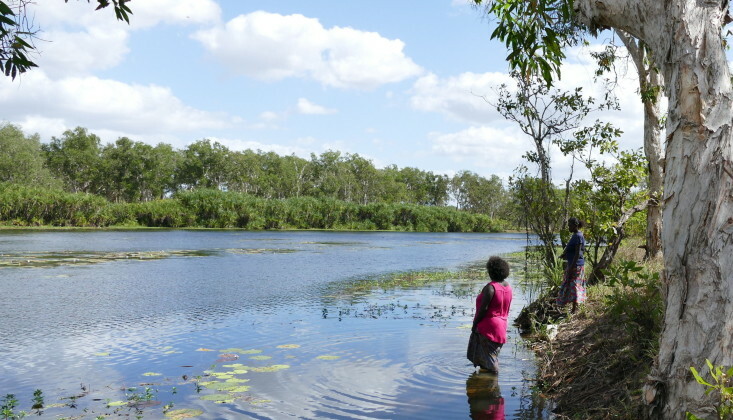 The reason our programs work is because we employ the full power of Yolŋu language and cultural knowledge so we are building on the people’s corporate knowledge. They have to work because they are Australian, using the original Australian language and culture! Instead of implanting foreign colonial structures and programs on the people we use what has already worked for 40,000 plus years. Empowering people by allowing their language and culture to also empower us. Managers will not need to know language, but we can give you the learning resources if wanted. We just need the right people to take up these projects. If chosen Richard will share all that is need to know and let each manager get on with building the project from where they live. If you feel lead to this roll please contact us.